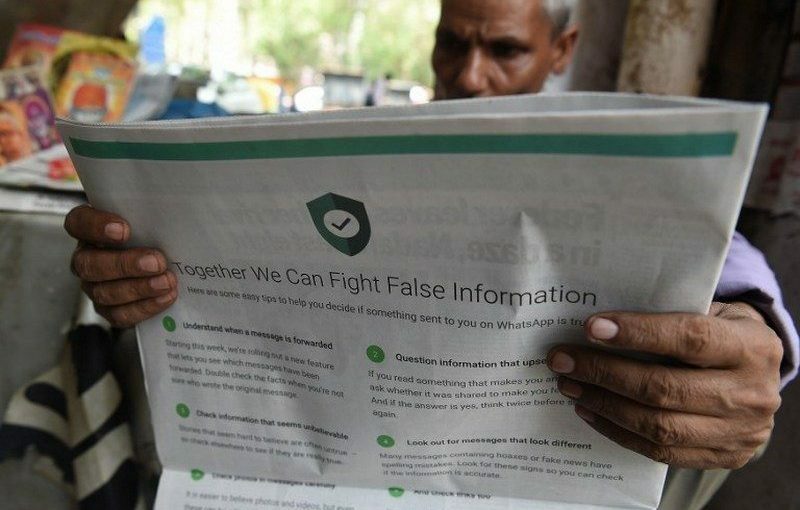 Facebook’s WhatsApp messaging platform on Tuesday published advertisements in key Indian newspapers to tackle the spread of misinformation, its first such effort to combat a flurry of fake messages that prompted mob lynchings. Beatings and deaths triggered by false incendiary messages in India, WhatsApp’s biggest market with more than 200 million users, caused a public relations nightmare, sparking calls from authorities for immediate action. “Together we can fight false information,” read full-page advertisements in some top English language-newspapers, part of a series that will also feature in regional-language dailies. It urged users to check information before sharing it and cautioned them about the spread of fake news. “We are starting an education campaign in India on how to spot fake news and rumours,” a WhatsApp spokesman said in a statement. 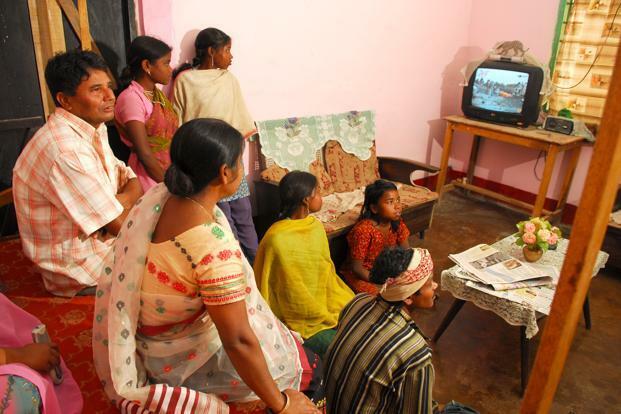 During the week, it aims to publish similar advertisements in regional dailies across India, from the states of Gujarat, Maharashtra and Rajasthan in the west to the most populous state of Uttar Pradesh in the north, it added. WhatsApp has previously said it is tweaking features and giving users controls in its effort to rein in false messages. It is also testing the labelling of messages to show users when a message received is just a forward, rather than one created by the sender. India’s largest carmaker Maruti Suzukisaid today that government incentives will be needed to make electric vehicles (EVs) affordable as the country moves towards the eco-friendly solution for mobility. The company, which plans to launch its first EV in India by 2020, also said it will conduct a study to find consumer insights to prepare for the journey. Maruti Suzuki India (MSI) Chairman RC Bhargava said affordability is a major challenge that EVs will face and for them to be successful, focus has to be on manufacturing of batteries and other components within the country to bring down cost. “I think it will be required… My gut feeling is that yes, some kind of intervention would be required but I don’t know to what extent,” he told reporters when asked if government incentives would be needed to support electric vehicles transition in India. As electric vehicles are a new development for the Indian auto industry it would be difficult to say in details how much government support would be needed, he added. The company will conduct a study to understand more about consumer insights on electric vehicles, which will also help in estimating how much of government support will be needed, he said. “Before that I can’t really say with any kind of confidence that this the kind of government intervention is required,” Bhargava said. The aim of the study would be to find out as to what is the ground reality, where people park their cars and charging infrastructure and what is their thinking about EVs, he said. “It will gauge what average consumer thinks about EVs. This survey is going to provide us the first reliable data from the ground. We will start it within two to three weeks and by about end of February we would have some authentic basis to answer queries on EVs,” Bhargava said. Stressing on the need for cost of electric cars to be within the reach of consumers, he said, “75 per cent of cars are small cars. How to make small cars electrified and affordable? The government has set eyes on 100 per cent EVs for public mobility and 40 per cent electric for personal mobility by 2030. In a white paper submitted to the government, auto industry body SIAM had proposed 40 per cent of all new vehicles sold in the country to be electric by 2030 and 100 per cent by 2047. 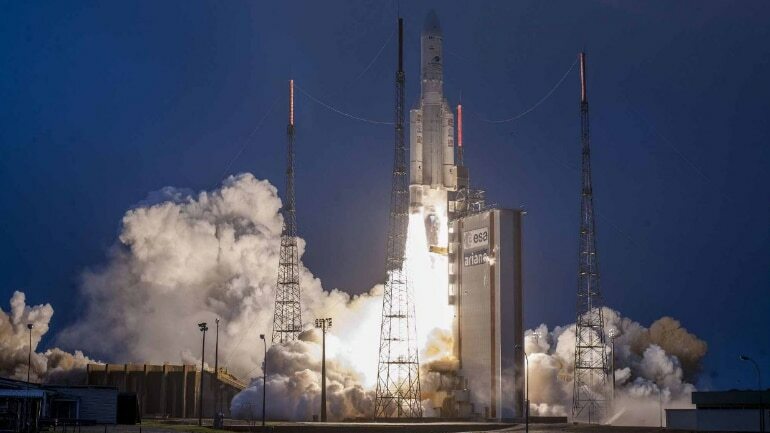 When asked about MSI’s EV launch plans, he Bhargava said the first one will hit the market by 2020 and the company will also set up charging stations. On the future of conventional internal combustion (IC) engine vehicles, he said it will continue to grow. The company has done an assessment, assuming an annual growth rate of 8 per cent between now and 2030, that 71 million cars will be sold, of which 14.4 million will be electric and 56.6 million will be IC vehicles, he said. “So, conventional cars will continue to be four times that of electrics,” he added.